It's getting real, but we're still a year or two away. 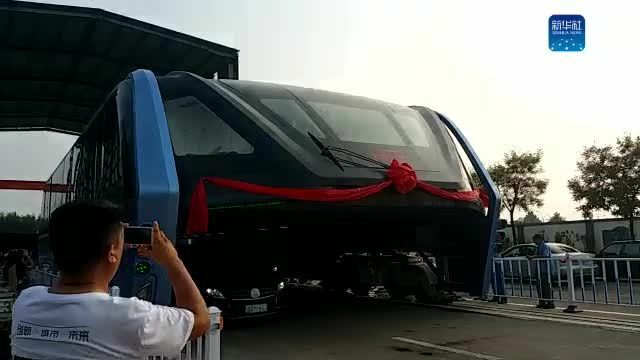 Six years ago, China came up with a super wacky idea: A large straddling bus that can let cars drive under it, which could be a cost-effective way to skip over congested traffic while carrying hundreds of passengers a pop. Today, this concept has evolved from a miniature model to a full-scale moving mockup, as unveiled in Hebei province's Qinhuangdao city yesterday. 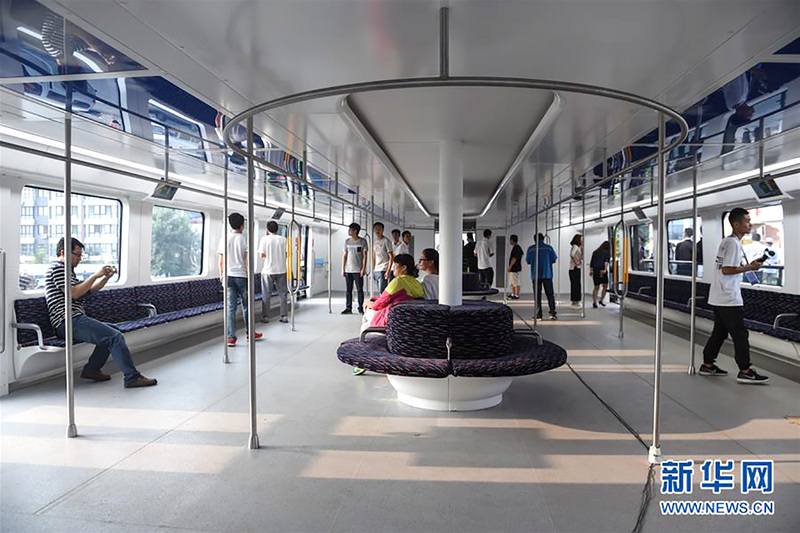 This "Transit Elevated Bus" or "TEB" in short is designed to handle 300 passengers, and it comes in at 22 meters long, 7.8 meters wide (covering two lanes) plus 4.8 meters tall. That's right, it's only a tad taller than a double-decker bus for the sake of existing bridges in China, so only cars less than two meters tall can drive under the TEB. Based on the photos, the TEB runs on sixteen tired wheels and is guided by eight pairs of rail wheels. It's supposed to reach 40 to 50 km/h (about 25 to 31 mph), but the experimental electric vehicle moved cautiously slow on its disappointingly short 300-meter demo track yesterday. It was more of a proof of concept demo rather than a technical test run, because the vehicle here isn't the real deal. No bridges, no traffic lights, no crosswalks and no turns. Still, it was able to wow some folks, especially those who were allowed to board the TEB to get a taste of the large space inside -- a bit like an enlarged subway train as opposed to having long rows of seats like a ferry. Song You Zhou, the inventor and chief engineer of the TEB, told WCC Daily back in May that if all goes well, it'll only be a year to a year and a half before the vehicle enters the market. But if you ask us, we're still not fully convinced. For one, what's the purpose of this proof-of-concept demo? Why just 300 meters instead of the original 1km distance as mentioned by Song? And given that not all roads are straight, how safe is it for the cars driving underneath a TEB while on a slightly bendy road? (For the big turns, cars underneath will have to stop and let the TEB go first.) Until these questions are addressed, we're going to leave our skeptic's hat on.